Apple replacing defective first-gen Nanos -- better late than never? If you were one of the early adopters of Apple's iPod Nano back in 2005, you might be eligible to receive a new portable music player. On Friday, Cupertino began rolling out a replacement program some six years after learning about a battery defect in the first-generation Nano. The device's battery has the potential to overheat, thus posing a safety risk. Only units sold between September 2005 and December 2006 are affected and while the issue is rare, the odds of your device malfunctioning increases with age so it's probably worth addressing. There were reportedly 15 incidents of sparks, smoke and property damage between 2005 and 2008. It's unclear how many incidents, if any, have occurred since. Before you get too excited, when we say "new" portable music player, we don't mean you'll receive one of Apple's sixth-generation touchscreen Nanos. The company's original announcement fails to mention what you'll receive as a replacement, but Mashable has confirmed that you'll get a first-generation device -- albeit one with a safer battery. If you can't recall the time of purchase, it should be pretty easy to identify the first-gen Nano from its successors. 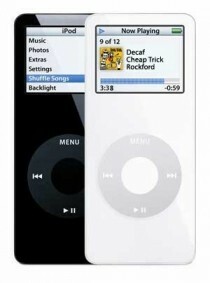 It came in 1, 2 and 4GB models with a white or black plastic shell. The second-gen device was available in six colors, all of which had an anodized aluminum body. The replacement will take approximately six weeks to arrive and it's worth noting that personalized units (such as those with an inscription) will be swapped with non-personalized ones.